Although it wasn't announced alongside the plethora of other features during the Ice Cream Sandwich event, Wi-Fi Direct may prove to be one of the more important and revolutionary features of the new OS. In the old days Bluetooth was the standard method of device to device data transfer, but now with Ice Cream Sandwich we are given Wi-Fi Direct and Android Beam. The latter uses NFC to transfer links, media, and other data, while the former is an interesting implementation of the wireless standard which creates ad-hoc networks between compatible devices. Wi-Fi Direct works by letting users connect directly to nearby devices over Wi-Fi, without any tethering or data connectivity required. 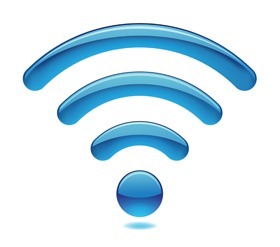 Users need only have two Wi-Fi Direct compatible devices to connect and transfer files, stream video and audio, and connect to printers or other compatible devices. The Wi-Fi Direct connection is a lot speedier than Bluetooth and it also works over much larger distances. I have had the Wi-Fi Direct app on my Samsung Galaxy SII phone for some time now and have had no problems with it. However, the app is built into Samsung's custom ROM TouchWiz and it is not a part of Android 2.3 Gingerbread (the version running on the Galaxy SII). So, the integration of Wi-Fi Direct into the Android OS in Ice Cream Sandwich is great news for other Android manufacturers. For more information on Wi-Fi Direct check out the Android 4.0 developer notes.